Normal mailing lists are boring! 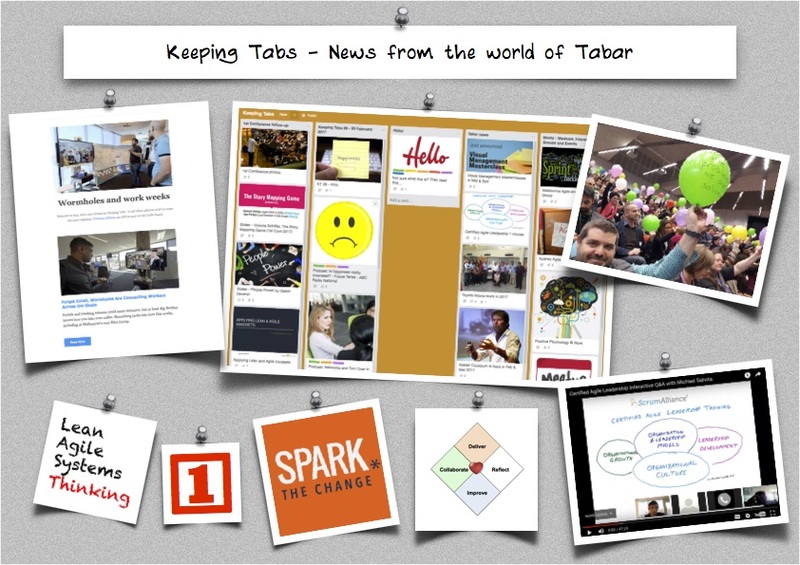 Keeping Tabs, a regular digest with links to videos, podcasts and reading about meaning and purpose at work, agile thinking, lean principles and systems thinking, is so much more interesting than a regular newsletter. See an example of Keeping Tabs. You will also be the first to know about future plans for conferences, training and other events that we are putting together. We don't do any weird stuff with your details. You'll be able to adjust these settings and unsubscribe, if you don't want to keep receiving the emails. Important - Please select from the "General Interests" and "Special Interests" below, about what type of information you would like to receive. If you don't tick any boxes, you won't receive anything!